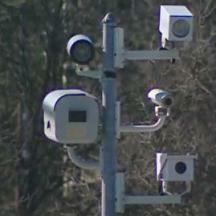 "Due to an error we are offering to void speed camera citations that were issued between June 24th thru July 13th, 2010. Please email your citation number to chiefbrentwoodpd@juno.com with Citation Amnesty Program written in the subject line. Any speed citations issued before or after the dates listed are not included in this amnesty program . This program does not include or involve speed camera citations that were issued by the City of Mount Rainier. " We advise anyone receiving one of these citations to take advantage of the city's offer to correct their error. Update 7/29/2010: The Washington Examiner has followed up on this story. When asked Brentwood Mayor Xzavier Montgomery-Wright attributed the refund to an "internal error". "I want to end this [phone] call and not respond," she said, declining to identify the town's camera contractor. "The people calling the press and telling them about this are just trying to shut down the [camera] program." The Examiner received conflicting responses from the town police Chief and the camera vendor, Optotraffic/Sigma Space. 8/16: The Gazette reported on August 5th that the town plans to refund all citations. 3500 citations were apparently improperly approved during the 3 week period. However we have been informed by another source that this may take a very long time since the Brentwood police are understaffed.